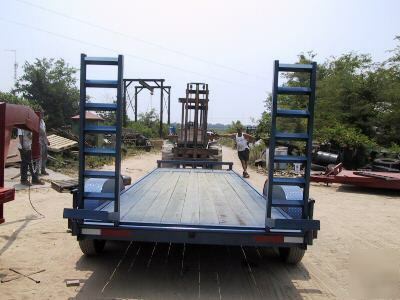 Heavy Duty Equipment Trailer for, Skidsteer, Tractor, Car, back hoe, Scissor Lift, Man Lift, cargo and more. 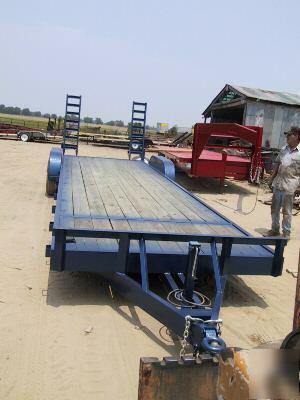 We have been custom building trailers for over 24 years as a Registered Trailer Manufacturer. 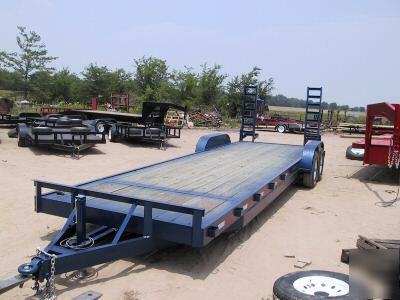 We build most types of trailers including dump, equipment, car haulers and more. 30' full flat Treated wood deck, 30' overall. Diamond plate deck is an option. 5 foot fold up ramps are included. stake pockets on each side for securing equipment or cargo.